Tinnitus is defined as the perception of noise or sounds in the head or ears in the absence of an actual stimulus. Tinnitus is associated with many different medical pathologies, including hearing loss, acoustic trauma, closed head injury, disease processes, etc. Abnormal sensitivity to everyday sound levels or noises, often sensitivity to higher pitched sounds, in the presence of essentially normal hearing. Abnormal response to auditory or visual triggers, misophonia typically starts in childhood and persists for life. Most common triggers include gum chewing, eating or breathing noises, repetitive sounds or gestures. Varies in degrees of severity. Loss of hearing of various types, often noise induced or age related, most common in higher pitches, can be related to injury, disease or substances as well as medications. Most often hearing loss requires hearing aids. 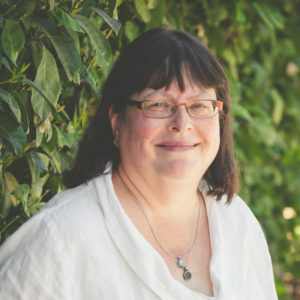 Dr. Marsha Johnson has been devoted to the care of patients with tinnitus, hyperacusis and misophonia for 20 years at her Oregon Audiology Clinic. The clinic provides state of the art treatments for those troubling conditions, as well as diagnostic evaluations, expert witness services, and consultation. Her clinical background includes the terminal degree of her field, the Doctorate of Audiology (AuD). She has served on many different nonprofit boards including the American Tinnitus Association (7 years), the Tinnitus Practitioners Association (6 years), the Misophonia Association (3 years), and others. A native of the Pacific Northwest, she holds degrees in Economics, French, and one year of an MBA program. She presents lectures at national and international meetings and conferences on these subjects.